eBay is not hungry for add revenue, they just need revenue period. Another sign from eBay that sales are down this last quarter. This quarter and the next quarter. 3 Day What? is a laughing stock...so what do they have left in the tank beyond that joke? They're gonna go Free Promo crazy...more junk items poured on top of junk items. This is nothing new. They had ads for sellers up until 2009 or 2010. Thats when the HO took them away and started sending everyone off the site. Then of course Cassini in 2013. So we ran promoted listings on every single item we sell, over 4000 items, for the last 30 days. Our sales dropped 12% and of course our fees increased. We just ended all promoted listing campaigns. Over saturation of ads that kill sales even more will NOT help eBay grow in 2018.
eBay has "jumped the shark" already - and as said 10000000000000000000000000x before - going to war with your sellers (stealing sales from them) is the exact opposite way to grow your platform. Amazon gets away with being a bully due to sheer size - thats not a game eBay can afford to play. Folks, it doesnt matter if ebay is making money or not. They will always look to make more any way they can. The problem is, is that they end up doing things that are counter productive. Depending on how they do it, I really dont think this will hurt sellers that bad. Most of us are already conditioned in our brains to ignore click bait. One bad thing is if the Chinese sellers get to this, they may go crazy with this, and ebay may actually expand it. Then it will actually be a problem. They already love the promoted listings! How about adding something I want to pay for like VIDEOS? Last thing I need to do is create an ad for you to POLLUTE others sellers pages with. . .My God I really think people in San Jose are STONED & STUPID. . .
Give me some value for my money for once, be creative! If eBay wants to regulate pricing so bad why don't they just get the product themselves and keep all the profit? Their price war with Amazon is taking all of ours away as it is. the delusional ceo once again sticks his slimy hands into sellers pockets. The best way ebay can increase revenue is to start working with sellers instead of against them. A good start in that respect with the reverse course on the watermark policy. I don't use watermarks or even care if someone uses my pics.....but it is the first time in a long time I can remember where ebay came out with an obviously stupid policy an actually listening to the sellers on the front lines of the customer experience. 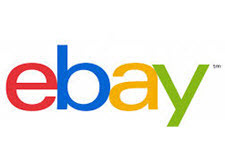 If ebay would listen to their sellers more it would be a more profitable and buyer friendly environment that would easily generate more sales. Some category specific pricing that makes sense is also needed. In my favorite category the 10% for non store members pretty much removed all of the big ticket items causing me to keep buying at the same volume........but from the different company those products moved to. I will never avoid ebay for the sake of avoiding them (that is just childish and stupid) but when the item I want to buy is not available on ebay I still want the item and will have no problem buying it from the location where it IS available. The biggest problem for ebay is that as this happens more and more I spend less time on the site because my searches are not fruitful. We all pay for our listings and for those fees we expect certain things. Ebay keeps getting in the way of this and want to charge us more for less visibility. As a buyer and a seller I HATE the fact that before the description of whatever listing I'm looking at I have to wade across a line of competitive ads from other Ebay sellers for same or similar items. IMHO this is MY space to advertise what I am selling. I resent the fact that space I am paying for is gummed up with other seller's ads that COMPETE with mine. I find this extremely unfair. A similar string of other people's listings show up at the bottom of the page. I don't like those either as again they are competitors, but it is better at the bottom than it is at the top of our descriptions. What Ebay is proposing now will just make all of this worse. I don't mine advertising, but there are places for this and it should NEVER be a competitor appearing on ANY of my listings. Speaking as a buyer, these ads are NOT helpful. I hate them. Amazon is chockful of this crap, and it is crap for the discerning buyer. Has anyone tried to look for items on Amazon lately? It's an absolute crock of crap. The stupid items are already visible -- the ads appear to be saying to me that I am so dumb I am only able to choose the first one in the list. Of course, what the sub-text is to the seller is, having a listing by itself now is not enough. You are cordially invited to give us more fees if you actually want anyone to be able to find your stuff. That might work if you're selling the same stuff as 100 other people, but if your items are fairly unusual, you have no reason to fall for what is a stinking attempt to chisel you for more bread, IMHO! Tell every seller you know NOT to buy these ads and ask them to tell every seller they know not to, either. Post your refusal all over the ebay boards and on social media. It wouldn't surprise me in the least if these ads will cost ebafia's favored sellers who sell under contract next to nothing while sellers like most of us would have pay through the nose. It's how ebafia conducts business and what it represents is one of the many reasons ebafia is #failing. Companies that declare war on their customers don't last long. I wonder how many ebafia bucks offers I'll be receiving before December 31. The ''deal'' eBay presented to us sellers was that most ads will disappear from product pages. This was to push the Promoted Listings that we all gave up 1/2 of our Top-Rated Seller discount for. As I predicted, virtually no one would participate as long as eBay charged more on the back end for ''Promoted'' sales. The folks who did use their $30 had to list their merchandise at much higher prices to cover the fees. So who exactly did this benefit? Even though they took away the (well-earned) TRS rewards in an attempt to increase their bottom line, the profits are still not what Wall Street is seeking. No, they have no choice except to backpedal and place the ads back up. So, in essence, eBay admits by this action that this program was indeed a TOTAL FAILURE. It's ok though, because it's another eBay seller, not some other venue. Wouldn't want to "let go" of any potential past sucess in in-house deal consumation now, would we? That would be (sorry), nuts. You can only squeeze so much money from a service or product, ebay will not gain anything from this, it will hurt them in the end. That's just STUPID. I use "Ad Blocker". It really speeds up the page load making for a more enjoyable experience. Ad Blocker blocked 34 items on an Ebay page. Another reason not to waste your precious dollars on advertising. We won't see it anyway. The USPS delivered a Priority Mail package to me today (Sunday). I thought Amazon was the only one who got Sunday service. They must have made an exception for Christmas Eve. @toolguy - The USPS previously stated they weren't going to deliver on Christmas Eve, but I saw a postal truck parked at the front of my house today to deliver a package across the street. So I guess they changed their mind (or just said that to get people to mail early). And all the items I sold in the last week made it to their destinations no later than Saturday, so great job by the post office! I'm sure when they end "promoted listings" they will also return the 10% extra TRS penalty? Must be that their sponsored listings isn't working?